Abang Johari accepts a momento from local community leader Pemanca Mathew Ganggang (front, fourth right), witnessed by (from left) Rita, Christopher and others. SIBU: Chief Minister Datuk Patinggi Abang Johari Tun Openg has announced an allocation of RM57 million to upgrade Selangau Bazaar. This allocation includes RM8 million for the construction of Selangau Mini Sports Complex, RM5 million for landscaping works on Selangau riverbank, RM2 million for upgrading works on Kemena-Balingian Road stretching 5km, RM17 million for upgrading works on Siong Hilir Road (16.5km), and RM25 million for upgrading works on Kelebu Road to Rumah Ado. Abang Johari also announced the construction of Selangau Rural Transformation Centre (RTC) near the Pan Borneo Highway and a dining hall for SJKC Tong Ah – a Chinese school in Selangau. “However, that (RTC) will take time as we have to wait for the construction of Pan Borneo Highway to complete,” he said during the ‘meet-the-people’ session at Selangau Bazaar yesterday. He said once the RTC project reached completion, it would house various government departments and agencies, including a medical centre. Abang Johari stressed that the announcement of these projects was made not because of election, but because they were in the planning stage previously. “Selangau has to be upgraded – this is already in my plan. Selangau has a lot of potential to become a very vibrant town,” he added. 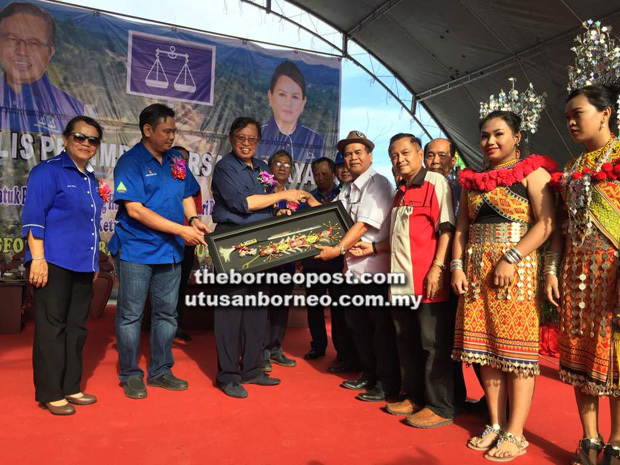 Abang Johari also called upon the people of Selangau to give support to the Barisan Nasional (BN) candidate for Selangau parliamentary constituency, Rita Insol, adding that a win would make her the first Iban woman to become a Member of Parliament. He also reiterated his call for all Sarawakians to continue giving him a strong mandate, towards a stronger voice for Sarawak. Tamin assemblyman Christopher Gira was also present at the event at Selangau Bazaar.